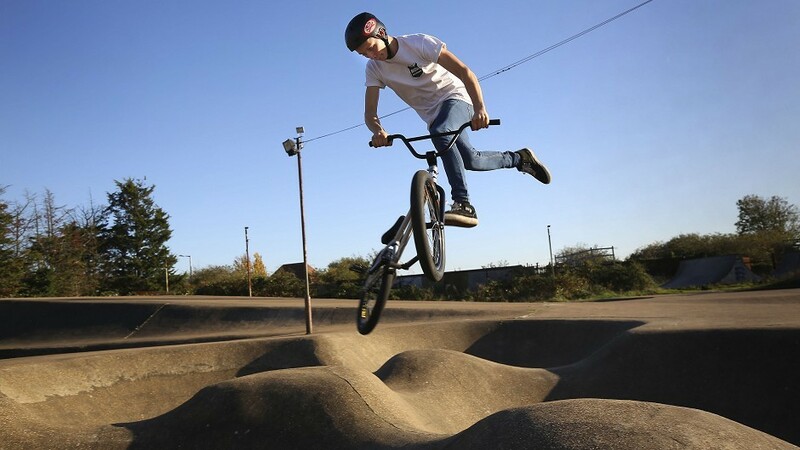 The Lossiemouth Skatepark Initiative, which was established in 2014, is seeking to give bikers, skateboarders and rollerbladers a brand new facility to enjoy their hobby, exercise and spend time in the great outdoors. The organisation recently carried out a feasibility study for their plans at Coulardbank Playing Fields which showed “overwhelming community support”, but now the volunteers need to raise £6,000 to pay for important impact assessment work before they can proceed with the development. An online crowdfunder has now been set up to help the team reach their goal. A spokesman for the group, which is part of the Lossiemouth Community Development Trust, said: “Our aim is to provide a dedicated wheeled sports facility that people of all ages and abilities can enjoy and share for many years to come. “Inspired by the rolling waves that lap the beautiful Lossie coastline, the design of the skatepark would emulate surfing with rolling carve banks and bowls, as well as ensuring more traditional street sections for boarders and riders to develop a multitude of different skill levels and styles. “To date, we have secured funding to have a professional feasibility study confuted, which was completed in the latter part of 2018. “The outcome of this revealed overwhelming community support for the provision of a skatepark in Lossiemouth, and allowed us to take our application forward to Moray Council to negotiate the community asset transfer of a site at Coulardbank Playing Fields. “We have been working closely with Moray Council to progress this however we have recently discovered our application can go no further, until we have conducted a noise impact assessment, a light impact assessment and a drainage impact assessment. If the organisers manage to raise the cash required, they are hoping that construction of the skatepark could commence later this year.